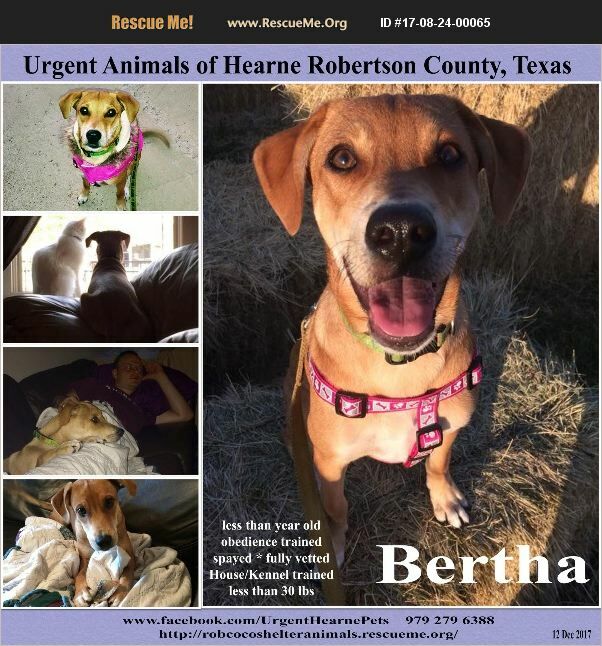 Bertha and her litter was found dumped as young pups. It is unknown what breed she is, she is the only one that survived. She was bottle fed.